Self-funded places are where you fund the entire challenge yourself. This means that there is no minimum sponsorship fee. Although no fundraising is required we do strongly encourage you to support Medical Detection Dogs. We received no government funding and need to raise over £2 million a year. *This does not include Running or Family Fun challenges. Pedal 1000miles end to end. Summit 24 peaks in the lake district. Target trekking time of 24 hours. Conquer the highest peak in Britain at 1,343m above sea level. Trek along 25 miles of Hadrian’s wall. 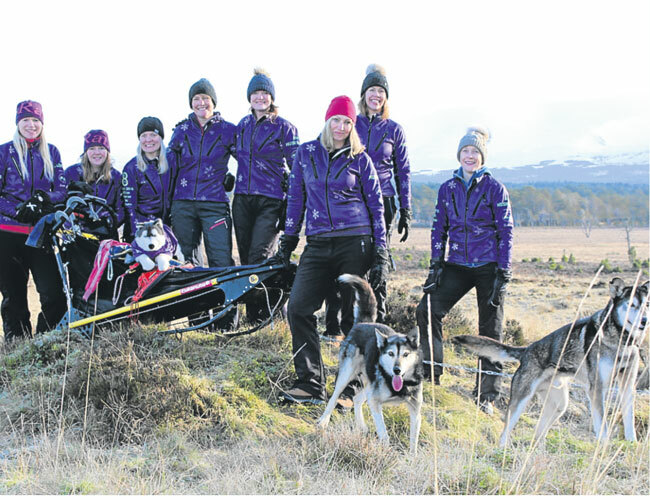 The “Åtte HUSKYteers” are eight like-minded, spirited women from varied walks of life. All with passion and hunger they came together on a mission, to find an event which would not just push them to the limit physically but emotionally and mentally too. They certainly found that event in Eight Head 67° North – classified by organisers Global Adventure Challenges as extreme – and began preparations for what was going to be a very busy, exciting and tough year. In March 2016 the Huskyteers spent six days and nights enduring temperatures as low as – 30°, living, eating and sleeping in the frozen wilderness of the Arctic whilst tending to and driving a team of Huskies 285km from TromsØ in Norway to Kiruna in Sweden. The time and preparation required for a trip of this nature were extensive but guess what, they didn’t stop there! The additional aim was to raise 100k for charity through sponsorship and varied fundraising events. The money was divided between four charities, Medical Detection Dogs, Insight Counselling, Age UK and Coppafeel. The charities were chosen because they had a special significance to the team. With huge thanks to the Huskyteers, Medical Detection Dogs were absolutely delighted to be presented with £26,500.